Lady Bird, Greta Gerwig’s directorial debut, takes place in Sacramento in 2002, back when Justin Timberlake ruled the airwaves, and it was very uncool to like Dave Matthews Band (even though Saoirse Ronan’s character does). 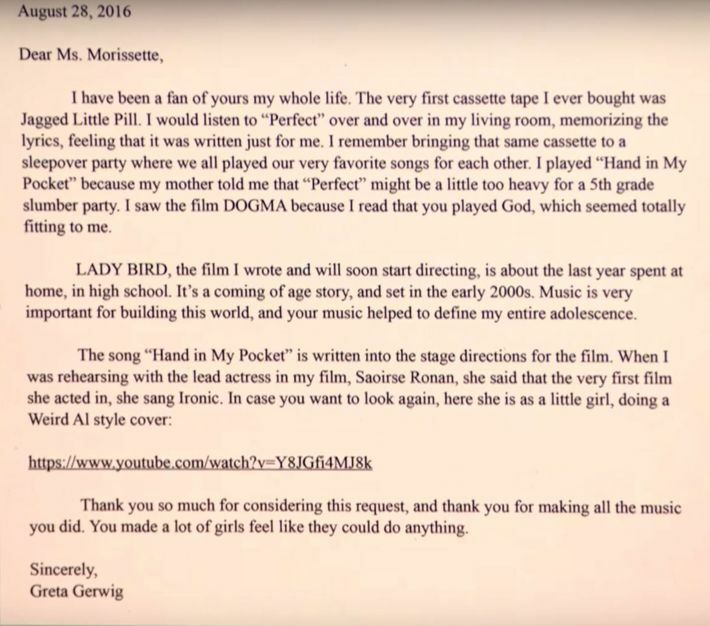 In order to make sure her film was as accurate as possible, Gerwig wanted to license just the right music, and so, as she revealed on Late Night With Seth Meyers, she wrote letters to the artists in question. For the ease of reading, we’ve screencapped those letters below. 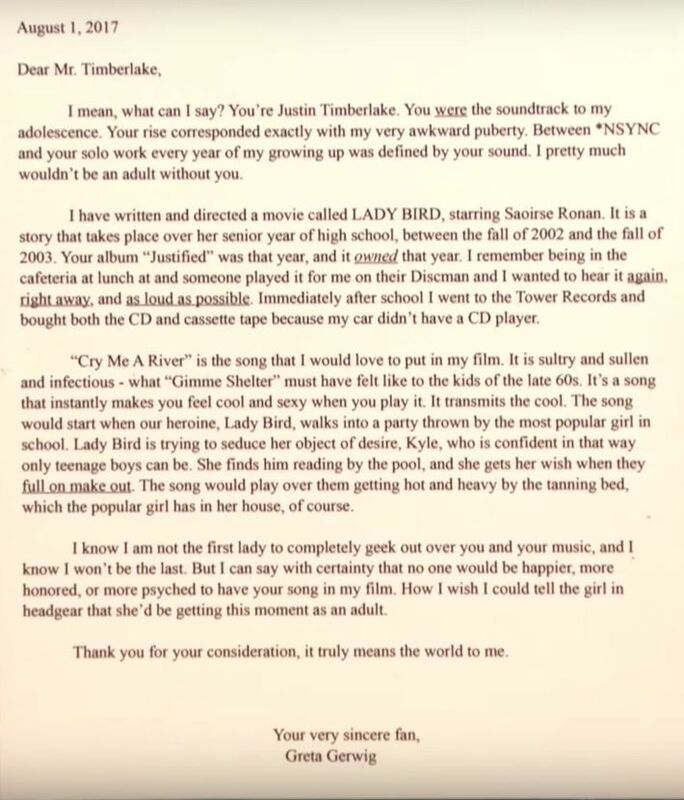 To Mr. Timberlake, whose music is used when characters “full on make out” by a tanning bed, Gerwig decides to explain the joke to Justin Timberlake in full. 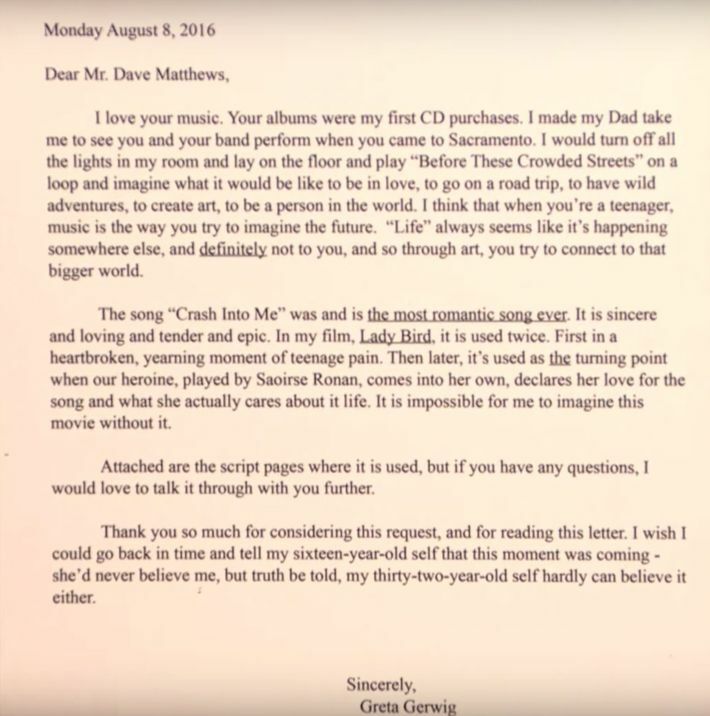 To Dave Matthews, whose song “Crash Into Me” is “the most romantic song ever,” according to Gerwig.